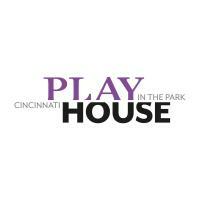 Cincinnati Playhouse in the Park seeks an organized, creative and digital-savvy Marketing Associate. The position executes the tactics in support of our multichannel marketing strategies. Runs lists for email in Tessitura, our customer relationship management software. Maintains Bright Sign presentations in the lobby. Writes and posts social media content as directed, monitors comments/messages and responds appropriately as needed. Maintains and updates content on website pages. Creates new website pages and assists with website improvements. Creates simple fliers, forms and signage. Assists with in-house photography and edits photos for social media needs. Sizes photos for all uses in digital, print and signage. Write cut lines for photos. Sends photo links to cast/creative team. Posts photos in Flickr. Keeps information on various online community calendars and websites up-to-date. Tracks media coverage and maintains media coverage log. Maintains production drop boxes of media coverage and materials for artists. Makes updates to the Marketing Sharepoint page. A bachelor’s degree and internship or similar experience in a relevant field. Experience with Photoshop and/or InDesign is desired, proficiency is preferred. Experience with a web content management system is preferred. Good business writing and editing skills. This is an entry-level, full-time, non-exempt position with benefits. Able to work some periodic evening or weekend hours, including time spent monitoring social media.